A provisional government was formed last Thursday at the Bethel Cultural Center. 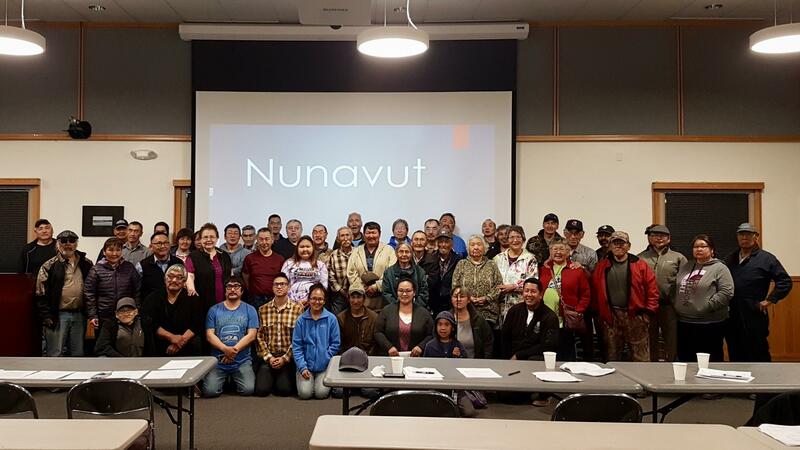 Over the last three days, and many long discussions, a treaty was signed to form the Provisional Nunavut Alaska Government to unite the 56 village tribes in the region. The third day of the Constitutional Conference saw a historic, unanimous vote pass to sign the treaty with ten designated tribal village representatives present. Hoffman said that this couldn’t come at a more important time for the tribes of the Yukon-Kuskokwim Delta. Chariton Epchook is the chairman of the newly formed Provisional Nunavut Government. Beyond lengthy discussions ranging from executive qualifications to education, Epchook said that he stressed to many tribal village representatives that uniting would in no way take away current sovereign authority from their own communities, but rather unite all 56 villages as a regional tribal authority with the ability to mandate law. “The tribal members that were here, and the people that came to witness the event, gave Nunavut the direction and the powers that it needed to get these things going that are needed,” Epchook said. With many more discussions to come, a vote is planned for November 7 among all of the enrolled tribal members of all 56 villages in the YK Delta.